NATO chief Jens Stoltenberg said last month that the alliance had no plans to deploy new nuclear missiles in Europe. However, the US' looming pull-out of the INF Treaty with Russia has raised concerns that Washington might seek a nuclear build-up in Europe. Germany's Foreign Minister Heiko Maas said on Wednesday that Berlin would oppose the deployment of new medium-range missiles on the European soil in the event of the INF Treaty's demise. "Europe must under no circumstances become a platform for an arms race debate", Maas told told DPA news agency as cited by the daily Tiroler Tageszeitung. "The deployment of new medium-range missiles would encounter broad opposition in Germany". He went on to call nuclear build-up a "wrong answer", saying that Cold War-era tactics would not help sort out today's issues. This comes after US President Donald Trump announced on 20 October that he would pull out of the Intermediate-Range Nuclear Forces (INF) Treaty, citing Russia's alleged violations of the accord. The POTUS said that Beijing should also become a signatory to the treaty. His move sparked fears among European leaders that they would end up in a hard place between Russia and the US. French President Emmanuel Macron "underlined the importance of the treaty, especially with regards to European security" in a phone call with Trump. A spokeswoman for the EU's foreign policy chief, Federica Mogherini, praised the agreement as "a pillar of European security architecture", while Oliver Meier of the German Institute for International and Security Affairs suggested that Trump's decision to exit INF "puts Germans in a difficult spot". US Secretary of State Mike Pompeo delivered an ultimatum to Russia on 4 December, saying that until Moscow returns to full compliance with the INF Treaty, Washington would withdraw from it. In recent years, the US and Russia have repeatedly accused each other of violating the treaty. Specifically, Washington alleged that Moscow had tested its new Iskander-M missile, which Russian officials have denied. Moscow, for its part, stated that the US was deploying launchers for Tomahawk missiles in Romania and Poland, in violation of the agreement. 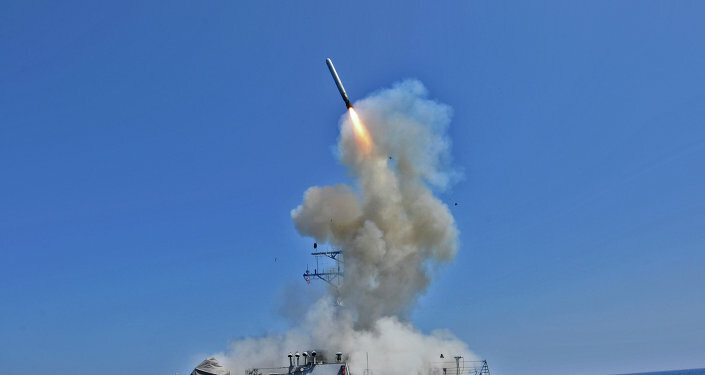 The US was also accused of developing combat drones and financing research on the development of a ground-launched cruise missile. The INF treaty, which was signed in 1987 by then Soviet leader Mikhail Gorbachev and US President Ronald Reagan, stipulates the elimination of nuclear and conventional missiles and their launchers with ranges of 500-1,000 km (310-620 mi) and 1,000-5,500 km (620-3,420 mi).